We can never turn aside from cruelty, in all its forms. The rather rosy mood engendered by my post about the relationship between a Brazilian fisherman and a penguin published on the 31st May and the saving of a dog from a culvert by a serving police officer in Rhode Island was bound not to last. But I didn’t anticipate that it would turn so bleak by the following petition that was highlighted to me and everyone by a recent comment to a post by John Zande. A garbage man can be seen in pictures, attached, as he deliberately went on to the sidewalk to hit a dog and then stopped the truck to put a chain around his neck and drag and throw him into the truck’s compactor to be crushed to death. Although the article claims that the man was fired, we hereby implore the Mayor Neilson da Cruz to prosecute Jadson James Franca to the fullest extent of the law with jail time and fines. We also want the garbage company ViaLimpa to fire the 2 co-workers in the photos laughing and allowing this madman to crush the dog. Mr. Mayor: If you do not prosecute this man with jail time, you are sending a message to the youth of Brazil that this is acceptable conduct to innocent animals that have done nothing wrong other than to walk on the sidewalk. This Jadson James Franca is clearly a sociopath who enjoys the torture and murder of animals. He is a danger to the people of Brazil, while he is still walking free. It is a known fact that sociopaths begin to torture and murder animals and then move on to people. ALL serial killers started out with torturing and murdering animals and Jadson Franca is no different. What will you do if he kills his wife, child, neighbor or an innocent person on the street and you could have done something to stop it by prosecuting him now? I ask all to sign this petition to stop this murdering rampage that is happening on the streets of Brazil and send a message that this blatant murder of an innocent dog will not be tolerated by the citizens of the world. Well over 30,000 people signed that petition including John and myself. In doing further research, however, it became clear that this group anger and disgust worked, assuming the British Daily Mail newspaper is reporting the story accurately. A binman has been sacked after he was caught dragging an injured dog across a road before throwing the terrified animal in the back of his rubbish truck to be crushed alive. Jadson James Franca, 35, mounted the pavement of the street in Presidente Figueiredo, northern Brazil and hit the stray dog, according to shocked residents. The council binman then stopped the garbage truck and tied a chain around the neck of the whimpering animal, which had had both of its legs broken. As his colleagues looked on, Franca then dragged the frightened dog along the pavement before tossing it into the compacting mechanism of the collection vehicle. Brazilian TV presenter Xuxa, who once dated football legend Pele, also posted the shocking photos to her 4.4million Facebook followers. 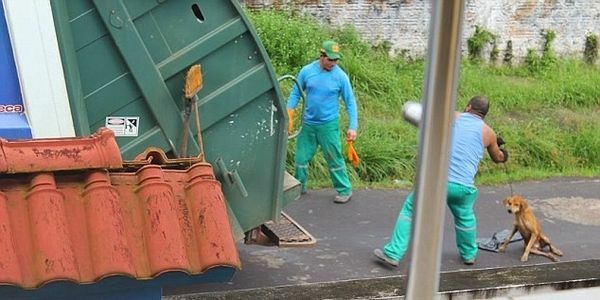 Yesterday Presidente Figueiredo’s mayor, Neilson da Cruz, told Brazil’s A Critica newspaper that the binman had been sacked and the refuse collection company, ViaLimpa, would face an unspecified fine. That Daily Mail article also has more photographs but without permission to republish them here all I can do is give you the links included in my ‘copy and paste’ of those two extracts above. Thank goodness for the power of mass opinions now offered to us by this online world of ours. The thing called ‘human’ doing that is most likely capable of doing the same to a human being too, I agree 100% with the petition. As for the people filming, I’m sure that if they weren’t busy recording they could have prevented this crime, by yelling for starters! Again… what is it with our species?! Very good point. Even saying they were recording it might have prevented the crime. I agree. Feel a little embarrassed that this aspect hadn’t crossed my mind. Absolutely horrific, and I agree, those filming should have shouted something. Esme, thanks for adding your own voice over this. It turns my gut. I’ve had the image of this poor animal in my head since first seeing it. I didn’t know Xuxa had picked up the issue, and am glad she did. Such acts of mindless cruelty do bring out public outrage here, but they just keep happening. Brazil has the highest pet ownership in the world (75% of all households have at least one animal i heard just earlier this week), yet despite this, you have monsters like this Jadson Franca. 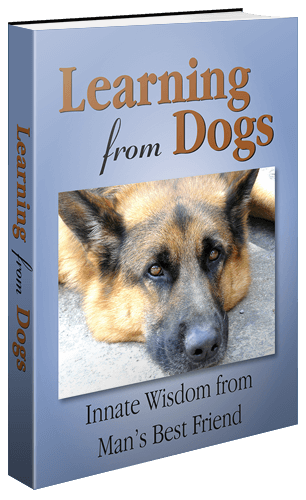 With 75% pet ownership you’d think politicians would champion animal causes… but they don’t. Said it many times before, but Brazil, for me, is a love-hate relationship. Thanks John. Must say that the cynic in me thinks the politicians only ever champion those causes that deliver personal kudos, or worse! Guess what I have just started reading! Brazil: no longer the country of the future? It is such a stupid saying. I’ve been at pains to tell people to drop it, because there is no such thing. There is just “today,” and you act today for tomorrow. Good article, though. Thanks for sharing. I’ll pass it around here. Like so many others, I am so angry at this needless and sickening act of cruelty to an already injured animal. What is wrong with people? How can they do such things? And how on earth can people stand by and watch the whole thing happen? The people who were filming it would have done a far better thing if they had intervened and stopped that vile man from doing what he did to that poor dog. I hope justice is served and this sick person gets jail time. Barb, apologies for not acknowledging your impassioned response before now. Everything you feel is justified and thank you for sharing it here. Despicable and impossibly inhumane. I can’t write more words- I have none. My wish is that this act does not go un-punished. Yes, we run out of words to describe such utter cruelty. One can only hope that the perpetrator never has another night’s decent sleep and can never distance himself from the screams of agony from that dog. Sam, what a fabulous reply from you. Thank you. Of course my first response is, “What is WITH people?!? !” But if there was an easy answer to that one, or any answer at all, we would have figured out a different world. So very sad. Yes! Sort of along the lines of understanding that one doesn’t understand! Although without any doubt this was a very sad example of that lack of understanding. Thanks, Bela, for your contribution. Just signed the petition. Interesting to note that only about 3,600 signers are from Brazil. I am sick over this, Paul. Tears are in my eyes. Torturing and murdering animals is directly correlated to torturing and murdering people. He must be sentenced and put away. He is a danger to society. I hope that justice will be served. Dear Kate, you have added an important voice, literally and metaphorically, to the huge condemnation over this terrible act. Well done! In the end it’s all we can do. You know that old saying about all that evil needs to succeed……. Best wishes to you.